A dark ambient soundscape released on the vernal equinox 2019. 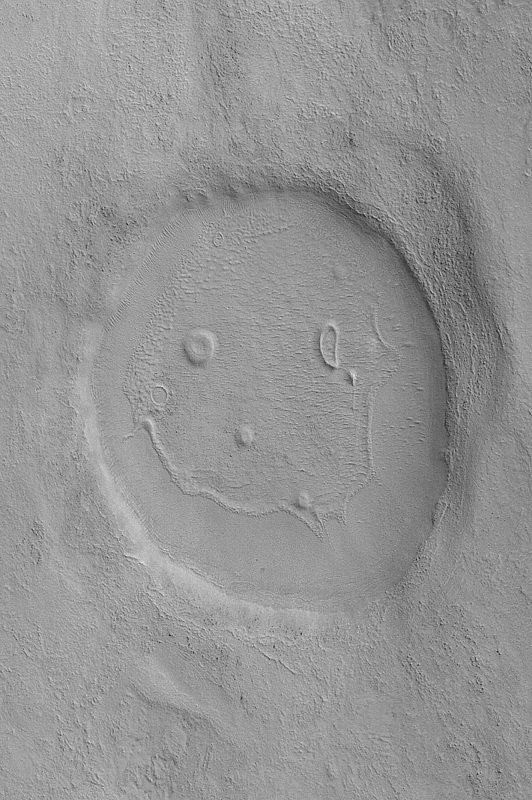 This picture of a crater resembling a “happy face” was taken in January 2008, by the Mars Reconnaissance Orbiter’s Context Camera. The unnamed crater is almost 2 miles (about 3 kilometers) across.